Today I have a card to share with you that uses stamps from Stampin' D'Amour's Fabulous Birthday set! 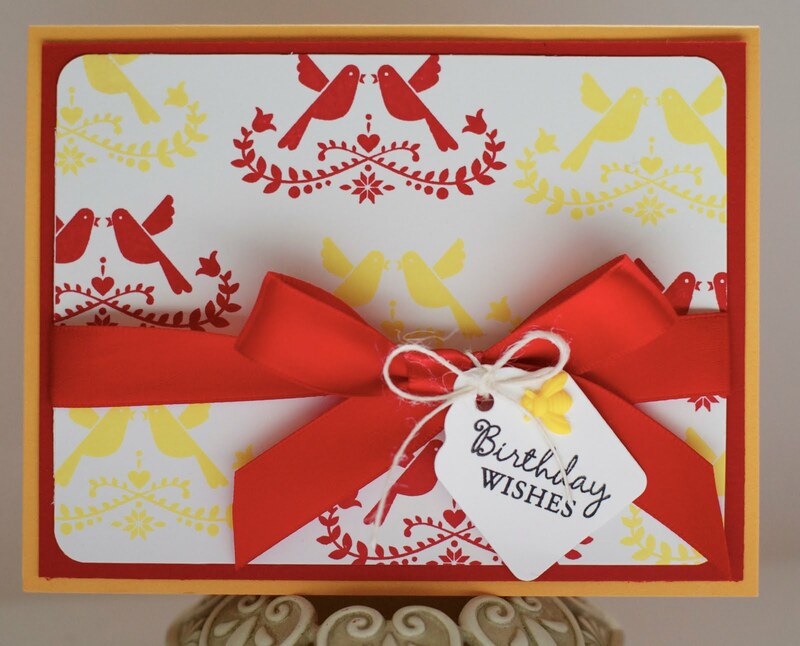 I love all of the birthday images and sentiments in this set - it is so versatile! I hope you are all having a lovely weekend! 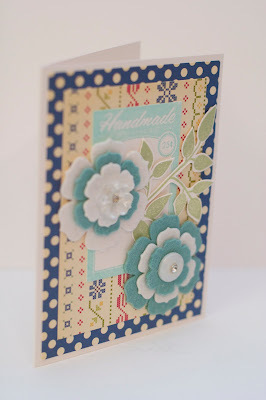 Today I have a card inspired by this week's Tuesday Trigger photo over at the Moxie Fab blog! 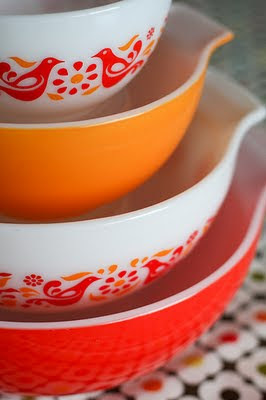 I love Pyrex and this stack is so pretty! I used the colors and the bird motif as my inspiration using a folk art looking stamp set I've had for a while but never used. I love the reds and yellows together! I finished the card with a satin ribbon and a stamped tag with a little bee I made from clay. I really like how it turned out! Happy Saturday, everyone! 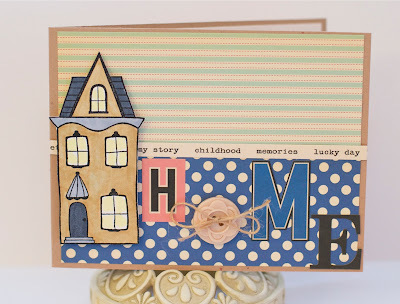 Those of us in the US are kicking off a long weekend and I've got a card to share with you that is part of the Missing You-themed Operation Write Home Blog Hop as well as this week's Waltzingmouse Sketch challenge! If you just happened by today, head to the beginning to join in all of the fun! 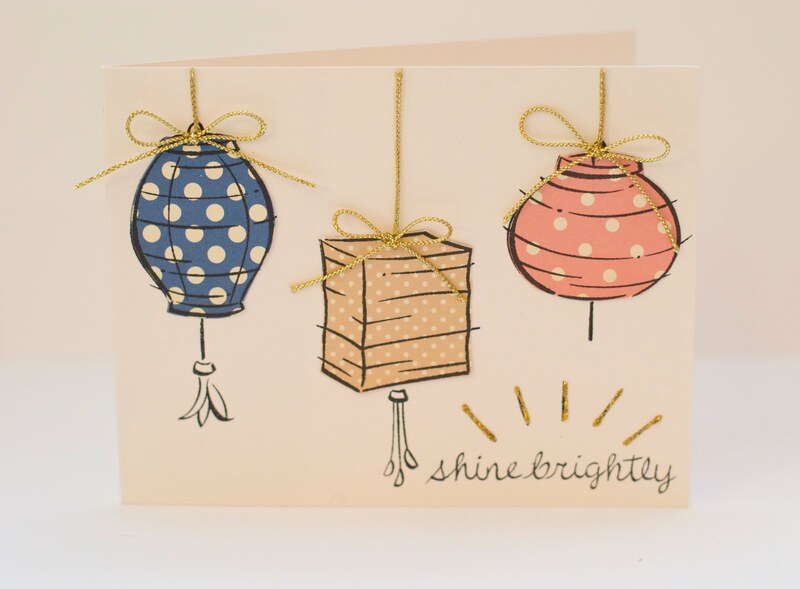 I made this card with the amazing new Gingham and Co. stamp set as well as the Holiday Labels 14 set! I finished the card with some felt flowers and a scrunchy bow. If you've made it this far, you are in for a treat! Claire, the owner of Waltzingmouse Stamps (and all around amazing woman) is sponsoring my giveaway today!! Head to this post to find out how you can win! 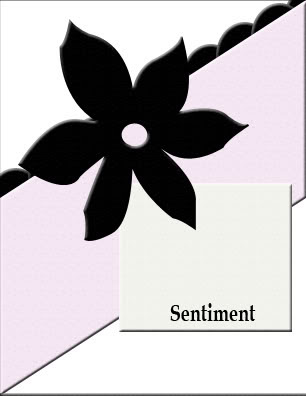 Now, off you go to Brittany's blog - she's got a wonderful card to share with you! 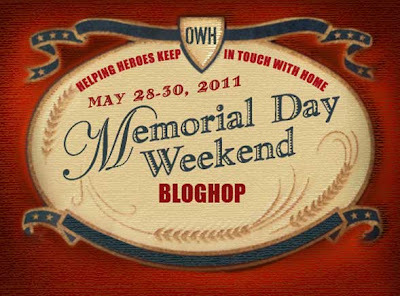 In order to keep my hop post short, I've got this post to let you know about my giveaway! Claire Brennan, the owner and designer of the amazing, fabulous, wonderful Waltzingmouse Stamps has offered to sponsor my giveaway today - the set of your choice from WMS!! Wowza! I was a huge fan before becoming part of the WMS family, and a big part of my crafting budget is always spent at WMS. The quality of these stamps just can't be beat and the service is amazing. Yes, we are ordering from Ireland but routinely get our orders within a week (nevermind any volcanoes that decide to fill airspace with ash...) The sets are jam packed with images and sentiments and are an excellent value for the money. All you need to do to be eligible to win is to become a follower of my blog and let me know which set you want. Easy peasy. I will announce the winner here a week from today (Saturday, June 4th) and you will have a few days to send me your address. I'll pass all of your information to Claire who will pop the set in the mail and you will be the proud owner of your very own WMS before you know it! 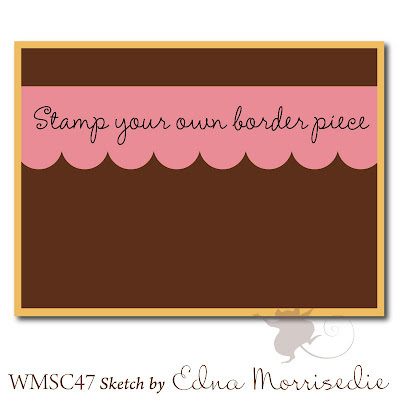 I honestly think you will love these stamps just as much as I do! I chose some lovely Webster's Pages papers in plum and light plum and stamped my new WMS doily stamps in both shades as well. 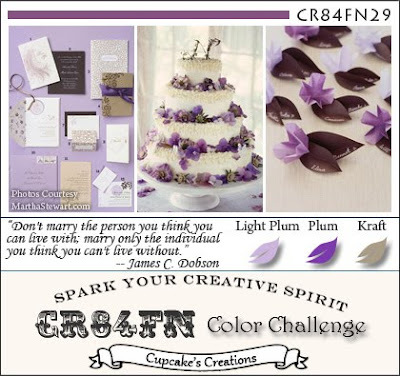 I finished the kraft card with some pretty purple ribbon and a stamped tag. 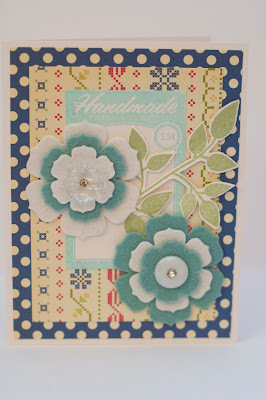 This month's Papertrey Ink Blog Hop is all about flowers and I had a lot of fun making these felt flowers! 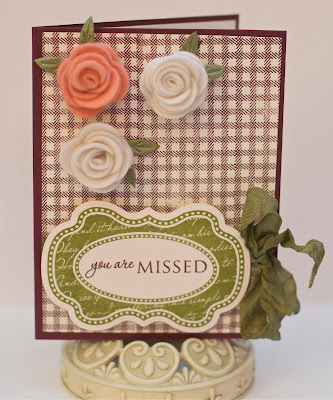 I love the homespun feeling of the October Afternoon papers and the Button Boutique set and thought the felt flowers and vintage rhinestone buttons would be perfect additions. Thanks for visiting and I can't wait to see what the rest of you have come up with - there are always such great ideas out here! Hello friends! 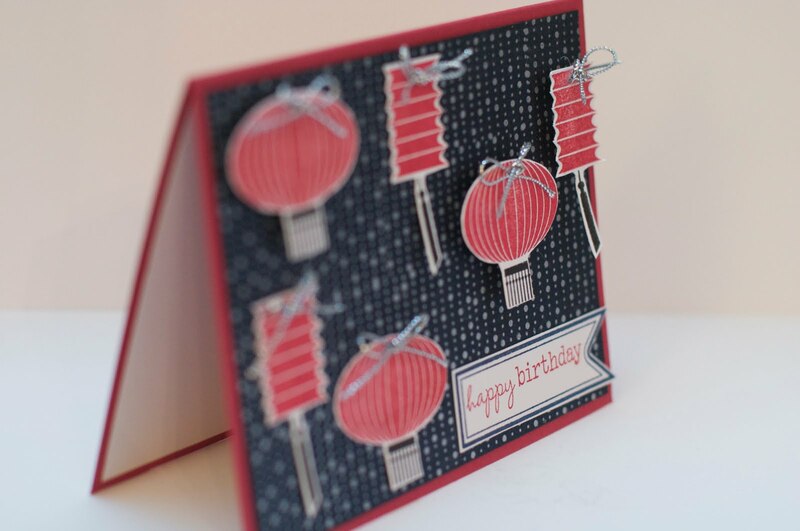 Today I have a special card I made for my last reveal as part of the Papercraft Star Design Team. I can hardly believe how quickly the last 6 months have flown by since I joined the team and will miss spending my Wednesdays with this fabulous team! I chose this sentiment stamp from Verve as the challenge of being on a weekly sketch team really helped me grow in my craft and I've really enjoyed the experience. 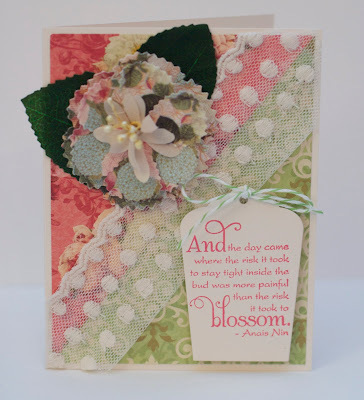 I paired the stamped tag with some lovely papers, lace, and fabric flower from Webster's Pages. Don't forget to link up by Sunday and you'll be in the running for some great prizes and to be the next Papercraft Star! Hello friends! 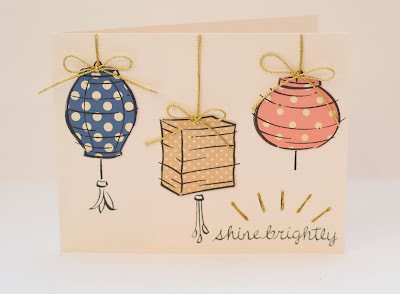 Today I've got a card I made for this week's Lawnscaping Challenge which is all about polka dots! I paper pieced the lanterns from the Lunar Lights set, added bows made of gold twine and some gold Stickles for extra sparkle. Happy Monday friends! Today I'm excited to show you a fun card with a vintage feel that I made using Stampin' D'Amour's Vintage Children stamp set! 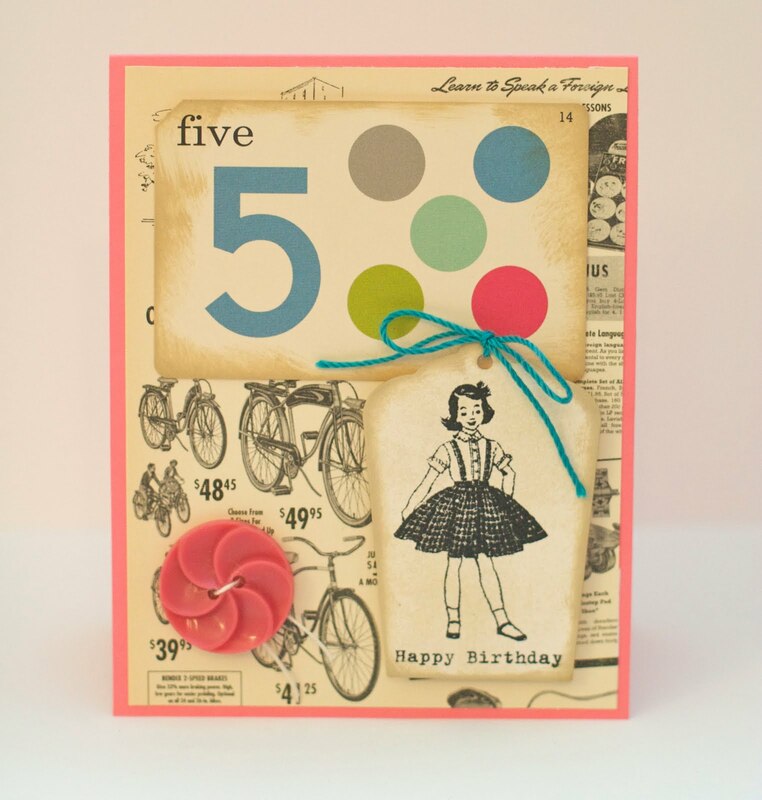 I just adore the mid-century feeling of the October Afternoon papers and the 5&Dime collection does not disappoint! I paired the papers with a button and that great flash card from that collection with a tag I cut and stamped. 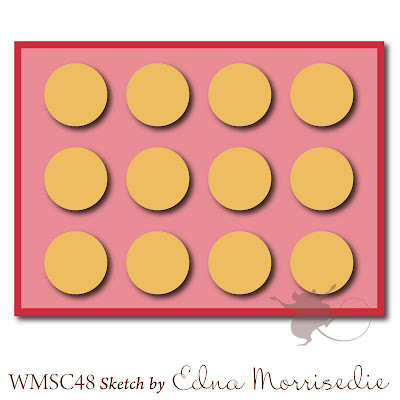 I love how the little button coordinated so well with the coral card stock! Okay, if you haven't been able to tell, today is the 2nd birthday of Waltzingmouse Stamps and I am so thrilled for Claire on the "toddlerhood" of her baby! When I discovered Waltzingmouse Stamps two summers ago (yes, I was a few months late to the party), I actually sent fan mail, lol! I had to caveat it by saying I'd never done that before I that I promised I wasn't a stalker! As all of you know that have spent any time around WMS, the quality, customer service, and generall good peeps feeling you get when dealing with Claire just can't be beat. Oh was I rambling? 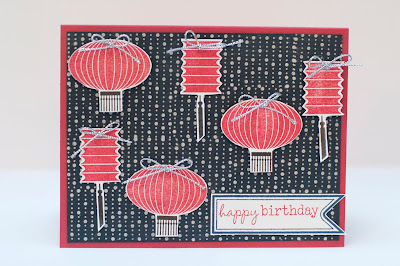 On to this week's sketch challenge - another fabby design from Mischief Maker Edna - I used the rain stamp from Asian Gardens Additions to stamp my background, fussy cut the lanterns and used foam squares to pop a few off of the card. I love how the shimmery navy card stock works with the silver ink and the red adds just the right pop of color! I can't wait to see what you come up with this week! Have fun and remember - use at least one WMS stamp in your creations to be crowned Top Mouse or to win WMS of your very own just by playing along! It's good fun and we'd love to have you join us!! C'mon! As you probably all know by now, I'm a card maker, not a scrapbooker (even though I dream of one day being able to make a layout.) I find that some sketches are more difficult to turn into cards than others and this week's sketch fell into that category for me. 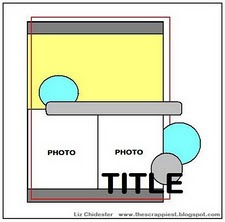 I chose to focus on the two photo blocks and turned them into the house cutout and the "home" text. I also used the horizontal elements of the sketch by adding a border to the center of the card and using horizontal striped paper. I hope you can play along with us this week! Remember to link up your creations by Sunday and then we all get to choose the next Papercraft Star!! Have fun! 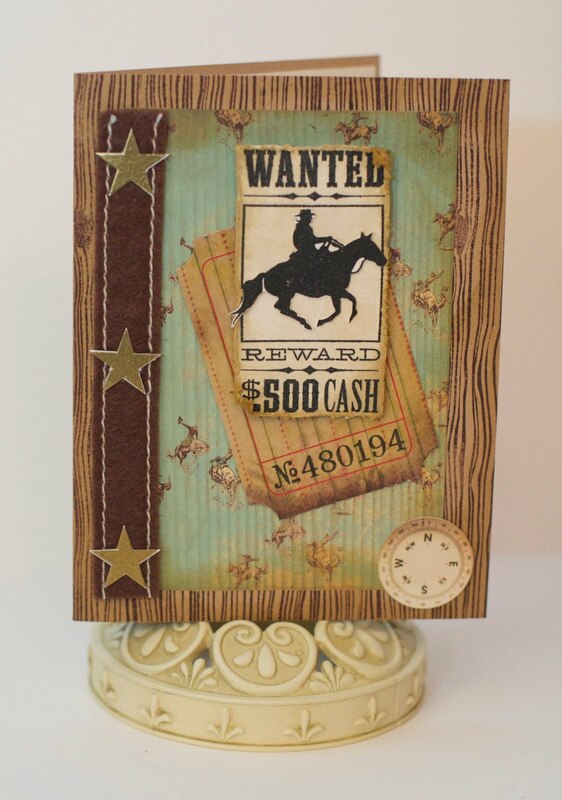 This month, we're showcasing masculine cards and I had a lot of fun making this card with my Way out West and Back in the Saddle sets! I stamped a kraft card base with the woodgrain stamp from Way out West and then layered a sheet of patterned paper over the top. I stamped the wanted poster from Back in the Saddle on cream card stock and then inked and distressed the edges to give it a worn look. I stamped and cut out the horse and layered it in the center of the poster (hard to see in the picture) for a bit of dimension. I finished the card with a Tim Holtz compass sticker and ticket, a wool ribbon, and some gold stars. I can't wait to see what masculine cards you all made. Off to waltz with you! Have a great day! Happy Monday, friends! 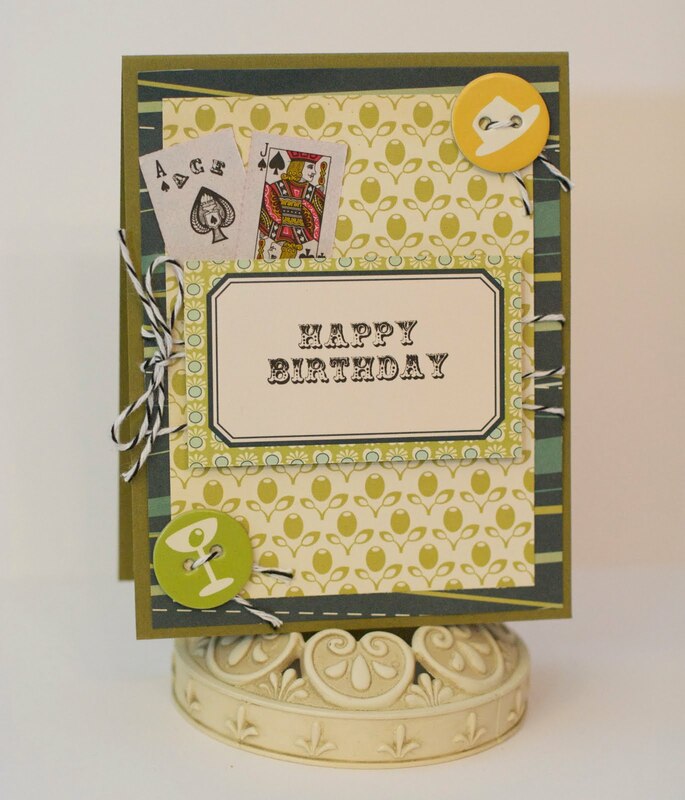 Today I have a great card to share with you that I made using the Fabulous Birthday set from Stampin' D'Amour and the Social Club collection from Cosmo Cricket! I love the "Rat Pack" feel of this collection and thought it would go great with these mini playing cards. Don't you think it would be great for a guy's birthday? Have a wonderful day and a great start to your week! Well, Blogger seems to be working now so I'm going to quickly post this and hope it goes live in the morning as planned! I adored all of your creations for this past week's Waltzingmouse Sketch Challenge even though I couldn't leave as many comments as I'd have liked to! Today we have a wonderful sketch designed by our very own Mischief Maker, Edna Morrisedie - isn't it fabby? 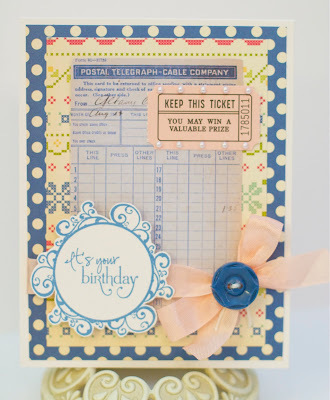 For my card, I used some lovely new Spring Market papers from Webster's Pages (aren't they dreamy?) I cut one panel and then fussy cut a flower border from the same sheet and popped it off the card. I wrapped the panel with some twine and used the Victorian Fripperie set for both the border and the little tag. I finished the card with a tulle flower embellishment. I can't wait to see what you come up with this week! Don't forget to link up by Friday 10 AM Pacific Time for a chance at a free set and/or to become Top Mouse! When I first saw this photo, I noticed the chocolate-covered pretzels first and built my card around the brown, green, and red colors of the photo for my card. 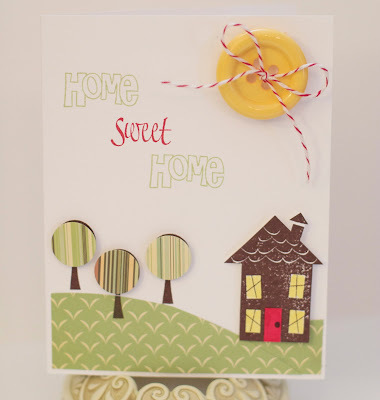 I stamped and cut out the little house, used a 1/2" punch to make the little tree tops, and finished the card with a bright yellow button "sun" tied with twine. I can't wait to see what you come up with this week! Don't forget to link up by Sunday because voting starts on Monday! Have fun! Hi friends and no, it isn't Christmas yet! 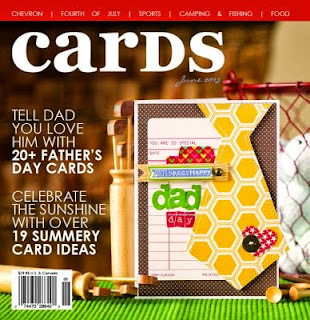 Today I'm happy to share a card that is featured in the new, special issue of Paper Crafts Magazine - Card Creations 9! 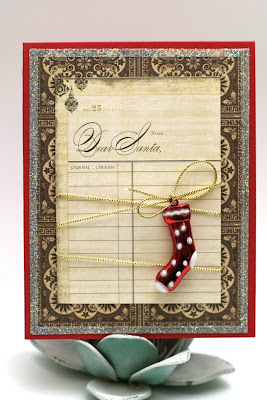 I had so much fun making this card and thought the "Dear Santa" paper was perfect picturing a little one writing his/her list of things they'd like to see in that stocking on Christmas morning! I used 1/8" Scor-Tape around the edges of the larger panel and covered it with glitter for a bit os shimmer. I hope you have a lovely day and thanks for visiting! I hope you all had a lovely weekend! I got a little shopping in and enjoyed the nice weather we've been having lately! All of this sun definitely has me dreaming of Hawaii! 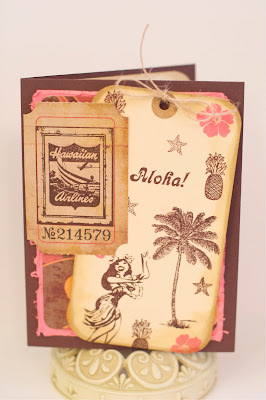 I'm absolutely in love with the Hawaiian Vintage stamp set from Stampin' D'Amour and think I used just about every image from the set on this card! 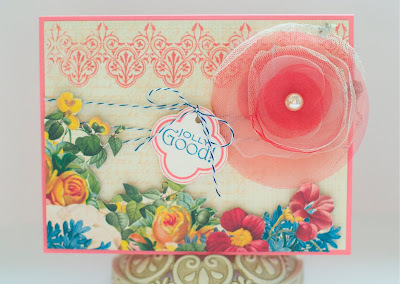 I stamped a large tag with a lot of the motifs, and used a pretty coral ink for the flowers. I stamped a Tim Holtz tag with the Hawaiian Airlines stamp from the set and pulled in chocolate and coral papers to match the tag. Happy Sunday, friends! It has been a Vervy weekend and today I've got a birthday card I made for my step mom inspired by this week's Mojo Monday Challenge! I used my new 5 & Dime collection, including the button, ribbon, and ticket from the Miscellany pack (those are such fun additions to the papers!) 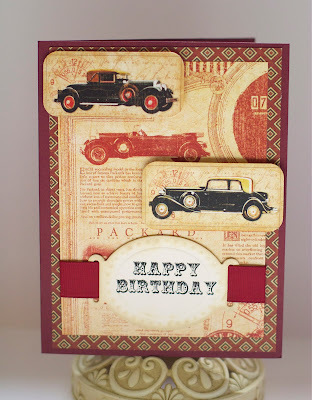 and great sentiment and frame stamps from Verve. Thanks for stopping by and I hope you all had a lovely day! Happy Mother's Day to all of you mothers out there - that is one amazing job you do! Since I knew my stamps probably wouldn't make it before today, I decided to use a paper doily for my card instead of a stamped one! I stamped blush card stock with the bold font from Text-It and zhuzhed it up with my new Zutter. 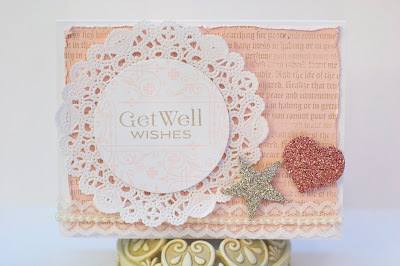 I stamped my favorite of the round images from Faux Fun Circles and attached it to a doily. I finished the card with some lovely trim and glittery embellishments. Don't forget to link up your creations by next Friday and you could win some of your very own WMS! One Million Hits and a Giveaway!